BARRETT S.M. 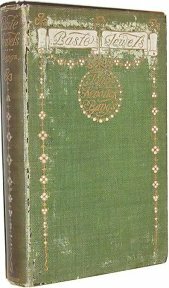 : Geronimo's Story of His Life ~ 1907 ~ NY: Duffield & Co.
Addison Irving Bacheller1859-1950, American novelist, b. Pierpont, N.Y., grad. St. Lawrence Univ., 1882. In 1884 he founded the first newspaper syndicate in the United States. 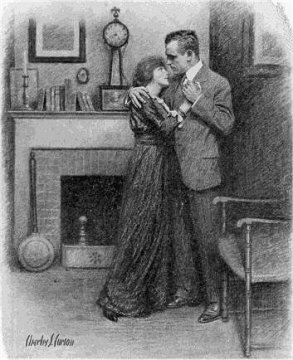 His novels, chiefly concerned with early American life, include Eben Holden (1900), D'ri and I (1901), and A Man for the Ages (1919). 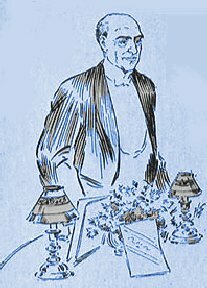 Addison Irving Bacheller was born in Pierrepont, NY, on September 26, 1859 and died in White Plains, NY, on February 24, 1950. Bacheller describes Pierrepont as being "a few miles from the St. Lawrence River and the edge of the Adirondack wilderness." While at St. Lawrence University, he received his B.S. in 1882 and founded the Alpha Omicron Chapter of Alpha Tau Omega. This brought the formerly all-southern fraternity to the north and helped to break down sectional barriers. 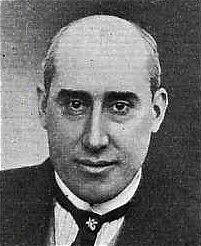 After his graduation, he moved to New York City to join the staff of the Brooklyn Daily Times. In 1884, Bacheller founded the first newspaper syndicate in America, the Bacheller Syndicate, to supply special articles to large Sunday newspapers. 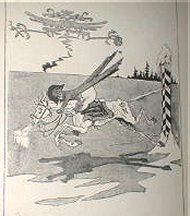 One of the main contributions of this syndicate was the discovery of Stephen Crane and the serializing of the Red Badge of Courage. 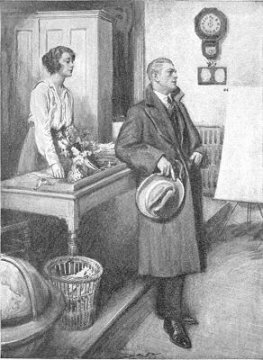 Similarly, Bacheller introduced Joseph Conrad, Rudyard Kipling, and Sir Arthur Conan Doyle to the American reading public through the syndicate. Although Bacheller was appointed Sunday editor of The New York World under Joseph Pulitzer in 1898, he discontinued his journalist work in 1900, because he wanted to devote all of his time to his new found interest in writing fiction. 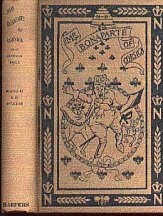 His first book, Master of Silence had been published in 1892, followed by Still House of O'Darrow in 1894. 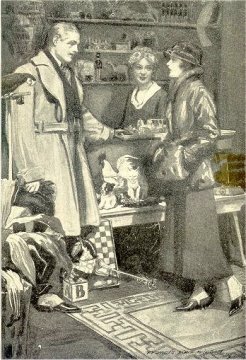 However, it was not until he became a full time writer that his real success began with his best seller Eben Holden, published in 1900. 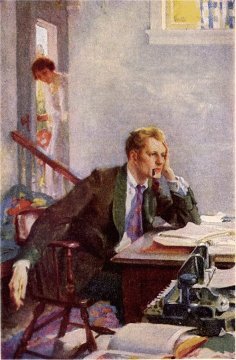 His fame as a novelist placed him in demand, and he joined the lecture circuit, with James Pond as his agent, reading selections from his novels, essays and short stories. He also served as a war correspondent during W.W.I in France. Bacheller was always interested in education and young people. He served on the boards of trustees of both St. Lawrence University and Rollins College in Florida. He also established the Irving Bacheller Contest, an essay and oratorical contest for Florida high school students, and endowed a professorship of creative writing at Rollins College. He received two honorary masters degrees from St. Lawrence and honorary doctorates from St. Lawrence, Middlebury College, and Rollins College. It is also important to note that from the tower of Gunnison Chapel, the Bacheller Memorial Chimes ring daily over the St. Lawrence campus and recall to the present generation its donor, Irving Bacheller. 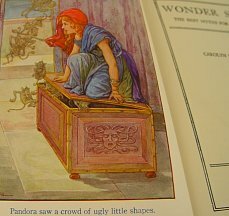 Wonder Stories: The Best Myth For Boys And Girls ~ 1920 ~ Milton Bradley ~ Illustrated by Clara Miller Burd. 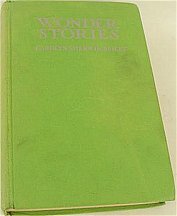 Some of the stories included in this volume are: How the Myths Began; What Became of the Giants; How Orion Found His Sight; The Wonders Venus Wrought; How Mars Lost a Battle; Cadmus, the Alphabet King; The Horn of Plenty; When Apollo was Herdsman; How Hyacinthus Became a Flower; A Little Errand Girl's New Dress; When Proserpine was Lost; How a Huntress Became a Bear; Medea's Cauldron; How a Wooden Horse Won a War; and others. 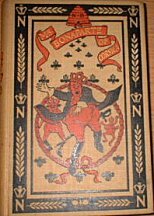 Children of the Handcrafts 1935 Viking Press: tells the history of how the youth of our country played an important role in the development of handcrafts. Tell Me Another Story ~ 1918 ~ Milton Bradley Co.
Carolyn Sherwin Bailey (October 25, 1875 – December 23, 1961), best known for her Newbery Award winning Miss Hickory, is the author of many books and anthologies for children. She was an American children's author. She was born in Hoosick Falls, New York and attended Teachers College, Columbia University, from which she graduated in 1896. 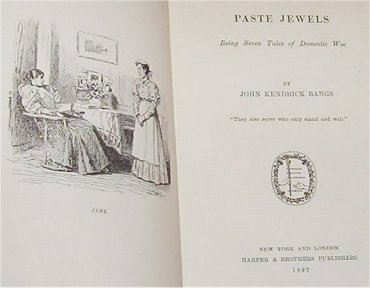 She contributed to the Ladies' Home Journal and other magazines, and published volumes of stories for children, methods of story telling, methods of teaching children, etc. 1861 - Born on the 25th of October in Hoosick Falls, New York. 1896 - Finished her studies in Columbia University and attended as teacher. 1917 - She wrote the Boys and Girls of Colonial Days. 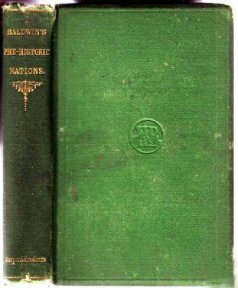 1919 - Followed by her second book Broad Stripes and Bright Stars. 1922 - This year she wrote Flint and The Story of a Trail. 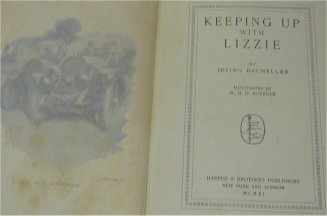 1906 - She wrote For the Children's Hour. 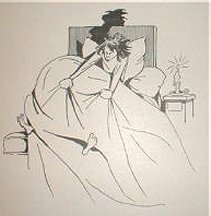 1947 - Her book Miss Hickory won the Newbery Medal. 1961 - She on the 23rd of December. Liberty Hyde Bailey was an American polymath. 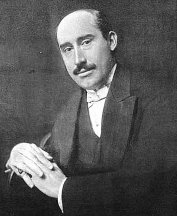 His work during the 20th century impacted so many areas of study that it is difficult assign Bailey a singular historical role. 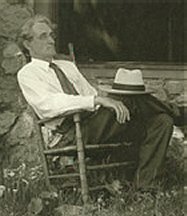 A naturalist at heart, Bailey's childhood passion for learning the living world around him brought acclaim for his visionary work in Botany, Education, Environmentalism and Horticulture. 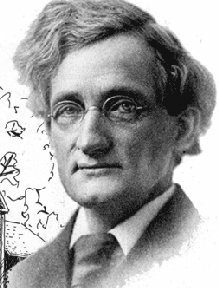 Bailey was an outstanding author, botanist, and horticulturist. He was born at South Haven, Michigan, and was reared on a farm. 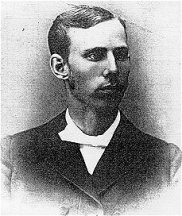 Bailey attended Michigan Agricultural College, now Michigan State University, where he graduated in 1882. He received the L.L.D. from the University of Wisconsin in 1907, and other honorary degrees from various colleges and universities. 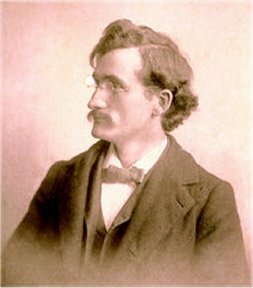 He was an assistant of Asa Gray, Professor of Botany at Harvard University in 1882-83 and Professor of Horticulture and Landscape Gardening at Michigan Agricultural College from 1885-88. He became professor of Horticulture at Cornell University in 1888, a post he held until 1903 when he became Dean and Director. He gave up this position in 1913 to make explorations and study various plant forms and species of horticultural importance. He established the Bailey Hortorium at Ithaca, New York, where he spent the last years of his life. He received numerous medals from national and foreign societies and was a member of domestic and foreign scientific, botanical, and horticultural societies. Dr. Bailey was voted one of the three outstanding living horticulturists several years prior to his death. 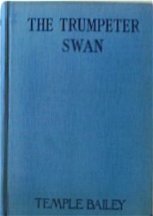 He was editor of Cyclopedia of American Horticulture six volumes (reprinted three volumes, 1910-1932); Rural Science series; and Rural Textbook series. First Line: Sherwood Park is twelve miles from Washington. Starting as a somewhat pretentious suburb on the main line of the railroad, it was blessed with easy accessibility until encroaching trolleys swept the tide of settlement away from it, and left it high and dry--its train service, unable to compete with modern motor vehicles, increasingly inefficient. "She flashed a quick glance at him." "And here, day after day, he sat alone." "He imprisoned the small hand." She showed him her school. "I shall come back for more"
When I'm married will you sound your trumpet. 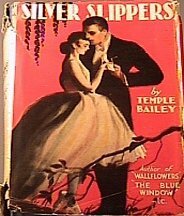 . .
Silver Slippers: 1928 G&D 360 pages This is the story of romance that began originally in the dream of a young woman. 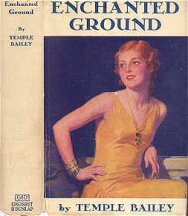 Irene Temple Bailey, an American novelist and short story writer, began publishing her work in national magazines in the first years of the 1900s. 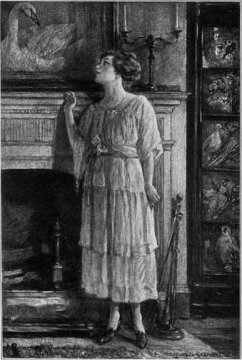 Her work appeared in The Saturday Evening Post, Cosmopolitan, McClure's and other magazines. 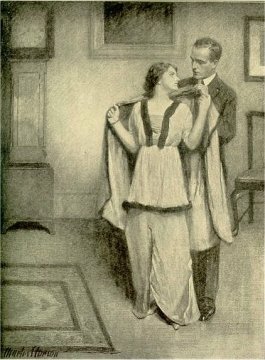 Several of her novels became bestsellers, including The Tin Soldier (1918), The Dim Lantern (1922) and The Blue Window (1926). 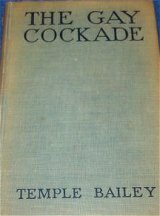 A screenwriter as well as a novelist, Bailey wrote the screenplay for the 1914 film Auntie, and also had some of her books, such as Peacock Feathers (1924) adapted to film. 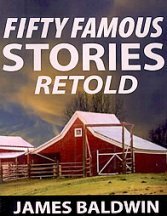 Fifty Famous Stories Retold ~ 1896 ~ American Book Co.
John Denison Baldwin: (1809-1883) journalist, born in North Stonington, Connecticut; died in Worcester, Massachusetts. He supported himself from the age of fourteen, pursued academic, legal, and theological studies in New Haven, and received the honorary degree of master of arts from Yale College. 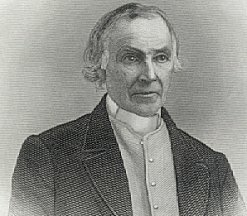 He was licensed to preach in 1833, was pastor of a Church in North Branford, Connecticut, for several years, and made a special study of archaeology. 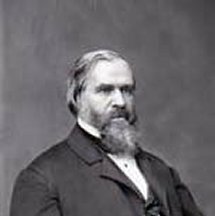 He became editor of the "Republican," an anti-slavery journal, published in Hartford, and subsequently of the "Commonwealth," published in Boston. From 1859 he owned and edited the "Worcester Spy." He was elected to congress in 1863, and re-elected twice. 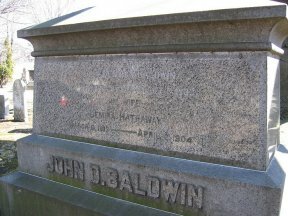 John Denison Baldwin (September 28, 1809 – July 8, 1883) was an American politician, Congregationalist minister, newspaper editor, and popular anthropological writer. He was a member of the Connecticut State House of Representatives and later a member of the U.S. House of Representatives from Massachusetts. 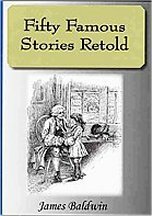 It may interest the readers of this collection of tales, if there should be any such, to know that the incidents upon which the stories are based are unfortunately wholly truthful. They have one and all come under the author's observation during the past ten years, and with the exception of "Mr. Bradley's Jewel," concerning whom it is expressly stated that she was employed through lack of other available material, not one of the servants herein made famous or infamous, as the case may be, was employed except upon presentation of references written by responsible persons that could properly have been given only to domestics of the most sterling character. It is this last fact that points the moral of the tales here presented, if it does not adorn them. J. K. B. 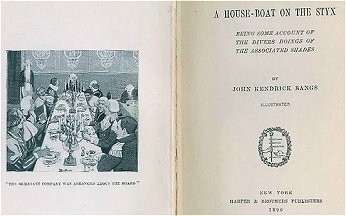 A House-Boat on the Styx ~ 1896 Harper & Bros. NY . 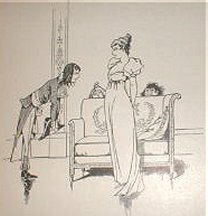 Mrs. Raffles: Being the adventures of an amater crackswoman. When Bobby notices that the old Grandfather clock is beckoning to him, little does he know what wonderful adventure awaits. Transported to the Time Shop, the boy learns to spend his time wisely and to watch out for that ultimate time thief--Procrastination! Bobby returns with a new understanding of time and a great Christmas gift for his mother. 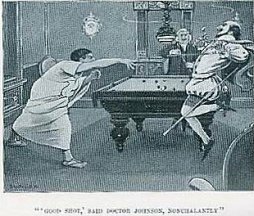 John Kendrick Bangs wrote comic, occasionally savage, spoof fantasy. His name is immortalised in the term "Bangsian Fantasy" - fantasy set in the afterlife, of which Philip Jose Farmer's Riverworld series is a direct descendent.